Lions and tiger and bears (and peacocks) oh my! Wildlife in Mid January Ranchos Los, Lomos were surprise guests to this sweet winter wedding. Gorgeous details abounded, from cascading alter florals to hand-selected tile seating charts. Delicate shades of blue complimented the natural outdoor beauty of this fun venue as Jackie and Robert said I do! Mini cakes at each seat put the final touches to what may be the most photographed place settings in wedding history- what can I say I was in love! 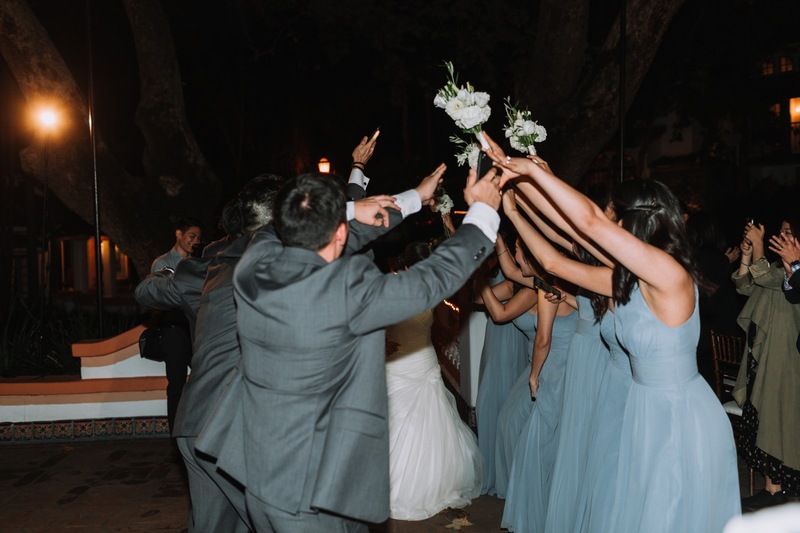 The day was perfect, from the moment Jackie slipped into her gorgeous corset backed, off the shoulder gown, to the bright smiles and happy energy on the dance floor as the newlyweds enjoyed the party with all of their friends and family!